The same day when I ate at Loobie Lobster, me and several food bloggers friends ( Umi, Selba, Cindy & Imel ) decided to had lunch at this new restaurant at Jalan Senopati. Just as Julia Child says, "People who love to eat are always the best people", you can tell that we're having a good time. Actually I really like their interior. 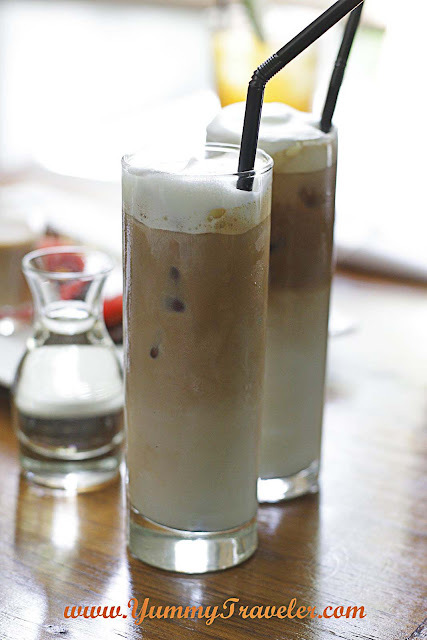 It's spacious and bringing a new vibe of retro. 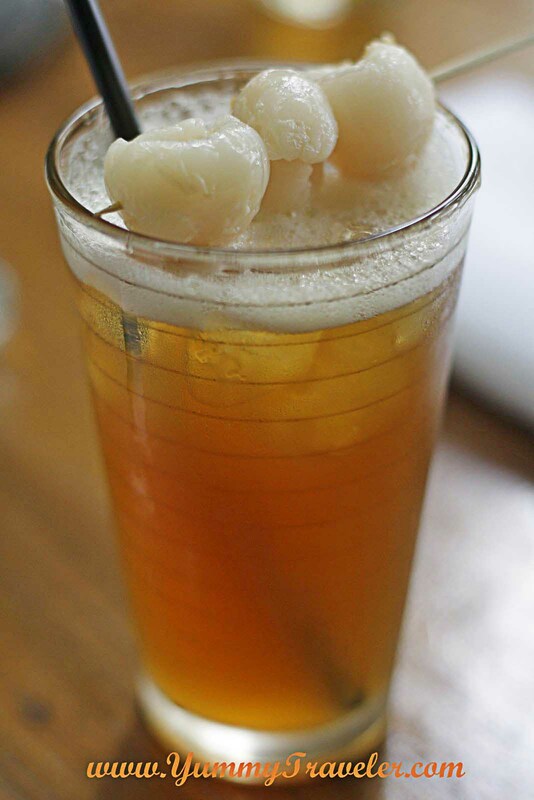 Around IDR 100.000 - 150.000 / person. 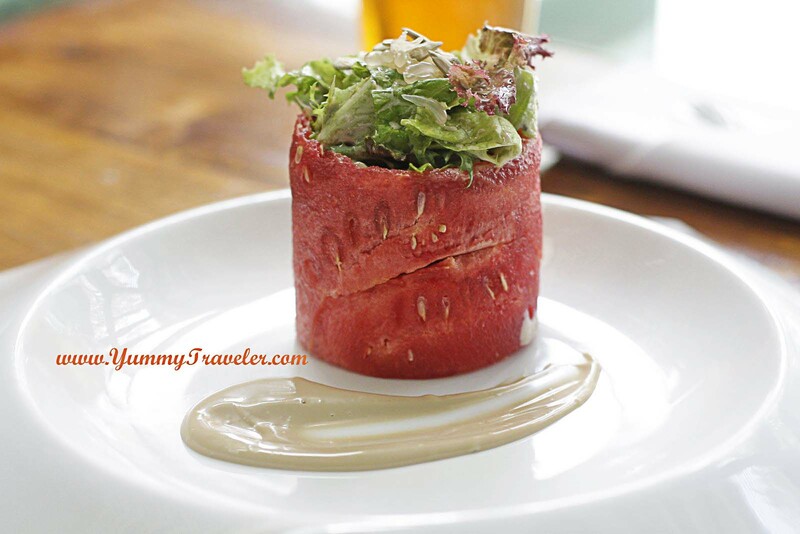 Started with Umi's food, she chose Red Salad - IDR 39.000 for a lighter option :p This was a tuna salad in watermelon 'castle' served with fusion mayonnaise, pomelo &sun flower seeds. It was beautifully presented! The dressing had a strong balsamic flavor in it. Pretty enjoyable! 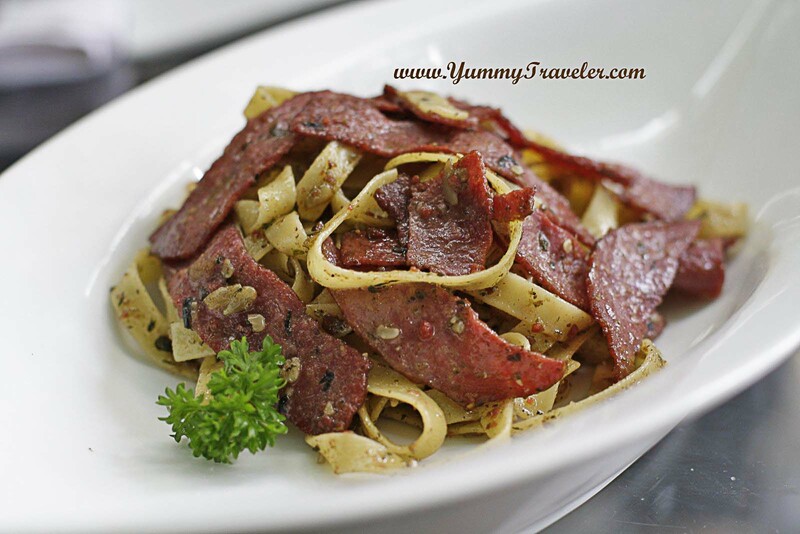 For me, I was starving so I chose some carbo lunch :p Smoked Pesto Tagliatelle - IDR 65.000. From the color, I know this couldn't taste good. A good pesto pasta must have an abundant sauce with strong herbs and good olive oil in it. And this, failed. Dry, and there's no any herbs flavor in it, but the smoked beef was a good quality one though. 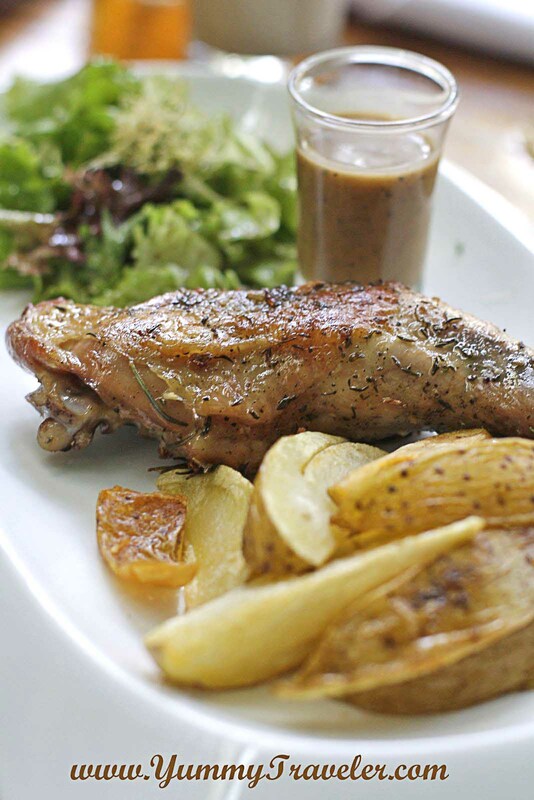 For Selba, she chose Roasted Chicken - IDR 65.000. 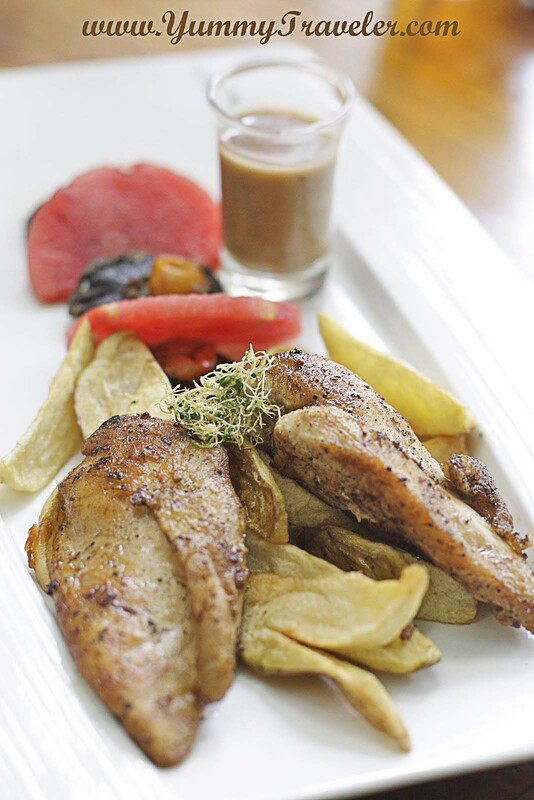 A roasted chicken with thyme&rosemary, served with potato wedges and salad. This was pretty so -so. For Cindy, she chose Herb Butter Chicken - IDR 55.000. And you know what, the chicken was tasted the same as Selba's has. 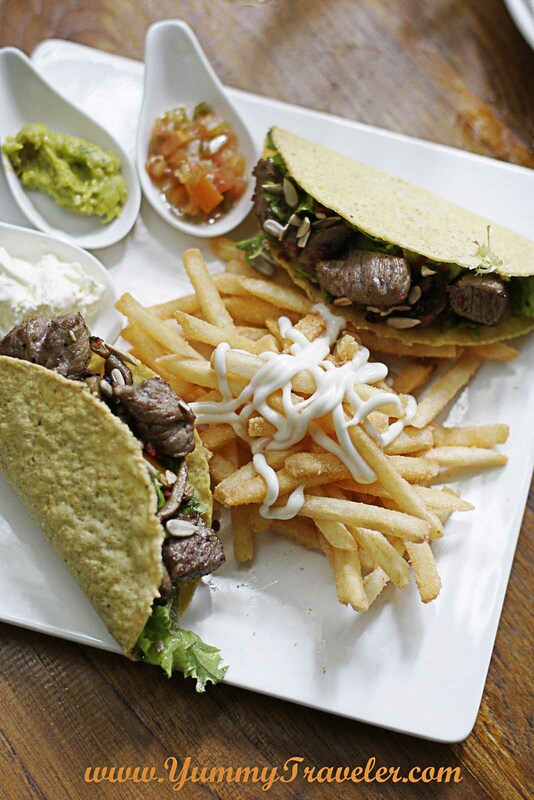 For Imel, she chose Wagyu Mexican Taco - IDR 55.000. Jl. Senopati No.64, South Jakarta.